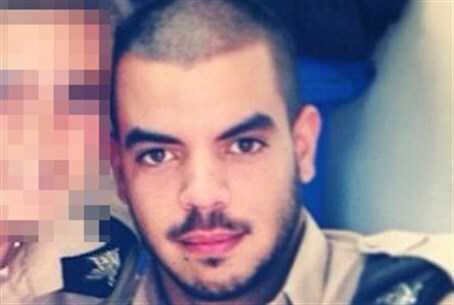 Sergeant Tomer Hazan of Bat Yam was murdered by illegal Arab coworker. Angry protests outside Bat Yam restaurant where he worked. An Israel Defense Forces soldier, Sergeant Tomer Hazan of Bat Yam, 20, was abducted Friday and murdered in Samaria by an Arab terrorist. The victim's family has been notified. The motive for the murder was the terrorist's plan to trade the body of his victim for the freedom of his brother, a Fatah terrorist who has been in jail in Israel for the last ten years. The soldier's family reported Friday that he went missing and failed to make contact since the morning hours. The Shin Bet, together with the IDF and the police, began a strenuous investigation, and came up with intelligence information indicating that the soldier had taken a cab together with an Arab man who worked with him in a restaurant in Bat Yam, south of Tel Aviv. The Arab is named Nadal Amar, and he is a resident of the village of Bayt Amin, near Kalkilya. The two had taken the taxi toward Shaarei Tikva, which is close to that village. Early morning Saturday, IDF forces, together with Yamam special police and Shin Bet, raided the home of Amar's family and arrested him, together with another brother. Nadal Amar confessed under interrogation that he persuaded the soldier to come to his village. He then murdered him in an open field and hid his body in a water hole. Following his confession, Amar led security forces to the body. On Saturday night a small but angry protest spontaneously erupted outside the Tzachi Meats restaurant in Bat Yam where Amar was illegally employed. Protesters shouted anti-Arab slogans and called for a boycott of the establishment over its use of illegal Arab workers, and voiced anger over the lack of police enforcement. Arabs from Palestinian Authority-administered areas require permits to work in Israeli-controlled area. Earlier this month, the Israeli cabinet voted to grant 5,000 extra work permits to PA Arabs as a "goodwill gesture" to the Palestinian Authority.